Music speaks to you and allows you to speak. Think of the messages that you have heard in music. Love and heartbreak are easily felt within lyrics of slow songs. Songs can can affect your mood. We even can remember jingles, lyrics and tunes from our own childhood. Certain songs bring back memories. We sing when we are happy. We hum in the shower. Young children even hum and sing while “going potty.” Nursery rhymes like “Twinkle, twinkle” always remain on the tip of our tongues! Why is music so powerful? How can it move us to make decisions? The anwer is in the make-up and math of music. Did you know that some of the first types of recorded music were made using mathematical formula’s? In the 1600’s, Johan Sebastian Bach composed this calming music, also called baroque. For children and adults alike, this 45-60 beats per minute music can regulate heart rate, respiration and brain waves. This type of music relaxes us. It is the music you hear at the start of movies, or in a love scene. When children listen to this type of music, while learning, it activates both sides of the brain! It regulates the heart beat and brain waves and relaxes the child. 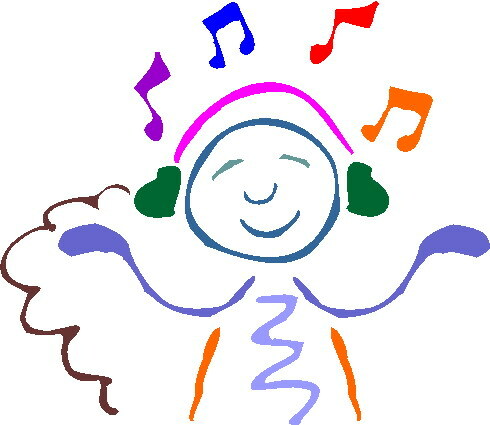 Music helps in concentration and increases memory and learning by 10%! On the other hand, Classical music inpires creativity. Mozart and Beethoven composed this 60-80 beats per minutes, classical music. Although it is more upbeat, it stimulates creative thinking. Classical music is an appropriate style to play while students are working on a group project or listening to a story. On tv, it is the music that is played during an important event. It grabs your attention and gets you thinking and wondering. Most songs contain rhymes. Our brains enjoy rhythm and rhyme! Music also helps us store information in our long-term memory. Amazingly, both music and memory are located in the same area of the brain-the limbic system. When we put words to music and create fun rhymes and songs, then we will most likely remember both the music and words. This research is a breakthrough for educators. Many teachers use song and rhyme to teach many skills. Music can be played during test taking or can be used to transition students from one activity to the next. Certain schools in Taiwan, even use music instead of a school bell, to signal changes between classes. Music is truly powerful and I hope that my ravings will inspire you to use songs and styles in new ways. Source: (Sprenger, M., 2010).“Brain Based Teaching” ASCD: Alexandria, VA.